Please see the first part of this blog here. As discussed in previous post, here is the short demonstration of the installation and configuration of IBM BigFix DSA. Hello and welcome to the Distributed Server Architecture (DSA) implementation series part one. In this series I’ll describe you the DSA, advantages of DSA, methods to implement IBM BigFix DSA and troubleshooting tips. Please read it carefully and stay tune for the next release if you need visual demonstration of the installation process. This is an exploration of a common “config only” error encountered when setting up the IBM Directory Server and it’s Middleware for Tivoli Identity Manager. To begin with we first provide an overview of some of the technology discussed. 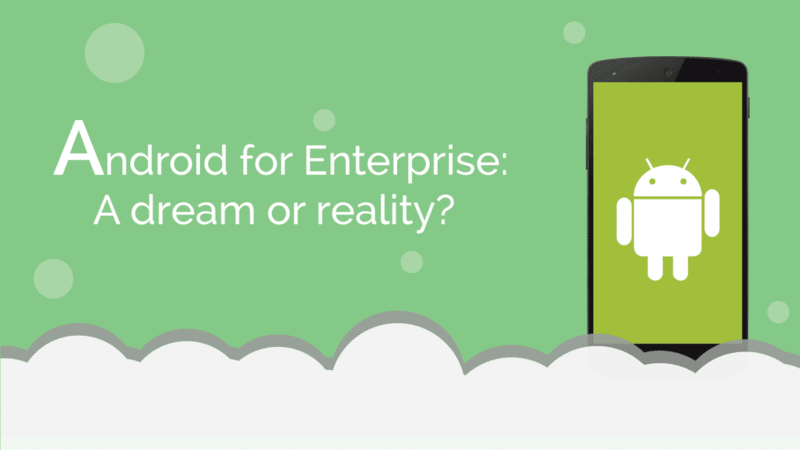 Android for Enterprise: A dream or reality? There is a new android device introduced in the market every other day. This rapid growth has made Android one of the most used operating system (OS) in smartphones all over the world. A recent study has reflected that 60% of the current mobile devices are android supported. As this mind boggling figure suggests, there is a large demand of latest android devices in market.